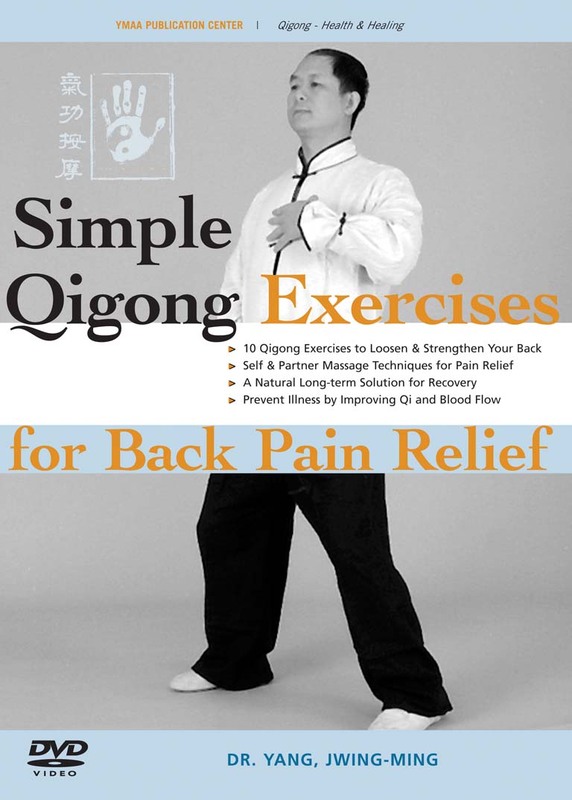 Dr. Yang offers an introduction to qigong, and demonstrates 10 simple qigong exercises to relieve back pain and heal injuries. Massage techniques for self and partner are included. For centuries, the Chinese have healed and strengthened their bodies with Qigong (chee-kung), the art of using the mind to direct the energy within your body to improve health and vitality. This program gives an introduction to the general concepts of qigong, and explains keypoints for correct practice, such as the 'Five Regulatings'. Dr. Yang then presents ten gentle qigong exercises to help ease your lower back pain, strengthen your torso, and expedite your body’s natural healing. The exercises are simple to learn and enjoyable to practice, and you can easily follow along with Dr. Yang's demonstration. The movements can be practiced both sitting or standing. In the second half of the program, Dr. Yang offers pain-relieving massage techniques for yourself and with a partner, and shows important pressure points, or acupuncture cavities. A complete self-massage section is included which you may follow along to.